Not all hardwood flooring is created equal. Direct Flooring offers expert guidance when it comes to choosing the right hardwood flooring, installation methods and design trends in flooring design. Hardwood has long become a popular choice for its beauty and easy maintenance. It is also much more durable, and many hardwoods can be refinished multiple times over the life of the product. But not all hardwood floors are created equal. At Direct Flooring, we can assist you in making smart choices based on location and wood species, style, and grain pattern as well as installation methods. Hardwood flooring is typically sold in large planks of solid timber to be milled at various specifications. 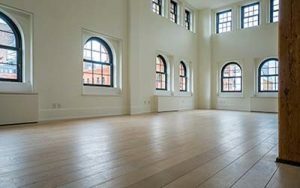 This traditional hardwood is still available today, but many manufacturers offer ‘engineered’ flooring – a plank with a thinner hardwood top layer and several layers below which prevents shifting during woods natural expansion and contraction cycles. Engineered floors are best used when you are applying the hardwood in basements and other locations over concrete, or areas known for their high moisture like lakeside or beachside locations. Most engineered wood can be installed on concrete and is also suitable for use with radiant heat (with a few exceptions). Traditional hardwood is best used over plywood or layers of plywood. When installing engineered hardwood over concrete, remember to always first test the moisture content of the concrete prior to installation. Direct flooring offers several different ways to test concrete for moisture” says Alan DeLellis, President, Direct Flooring. 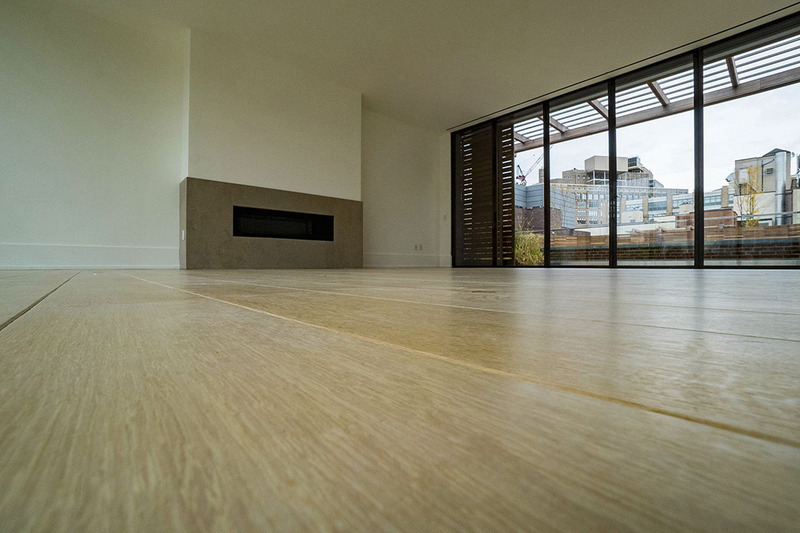 Hardwood planks can be purchased and installed with a raw face that gets finished by a professional on site. Pre-finished floors arrive with the stain and clear coats already applied to the product. On-site finishing appeals to many homeowners and designers because it allows them more control of the stain color and tone, including the sheen of the product once complete. On site finishing also enhances the ability to create unique patterns and designs. Pro tip – Keep a keen eye on humidity levels. The trend is towards 4” to 7” wide wood planks, depending on the size of the room and application. A relative humidity level is 35% to 55% is necessary to minimize the expansion and contraction. Direct Flooring, Flemington, NJ has been a leader in the flooring industry since 2005. They offer all types of flooring from every corner of the globe. Direct Flooring can help you select the best products while tackling the most challenging installations. For more information, click www.directflooringmetro.com or call 908.237.1009 and speak with one of our flooring specialists. Direct Flooring is in Flemington, NJ and services NJ, NY and Eastern PA.
© 2018 Proudly powered by John Rod & Co.